This is probably a slightly odd topic coming from a brand that needs to create and sell new things to survive, it’s a fine rope to tread; but at the core of the Cabbages ethos there has been the mantra to make things so well that they will last an eternity. At the very least to be passed from mother to daughter, to friend, to E-Bay. 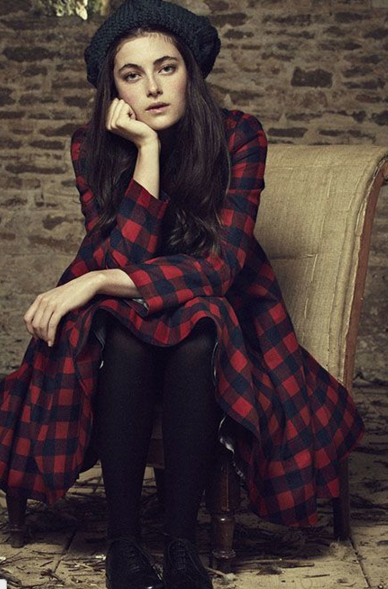 We want to make clothes that remain a cherished part of your life for a very long time. Perhaps one day we will be like the 10 year hoodie company Flint & Tinder who created such a stir on the funding website Kickstarter. 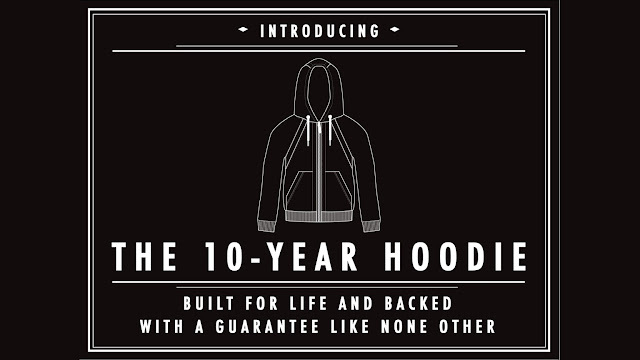 They offer free repairs (within reason) for any hoodie purchased for up to an entire decade. I don’t know if you could wear something every day, or regularly for 10 years without some wear and tear but what draws me to this company is the fact they encourage repair, not landfill. I also think of J Barbour & Sons – and how many people wear (steal) their parent’s waxed jackets, that are decades old and just right. 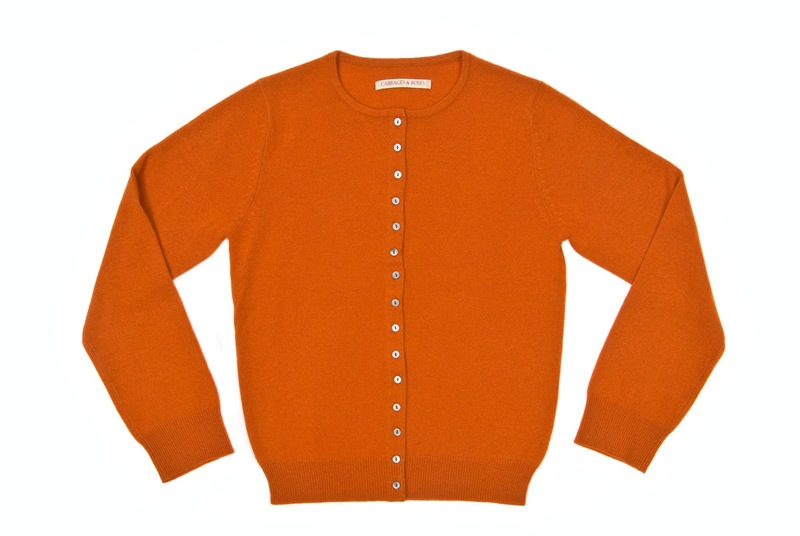 I tragically had to say a final farewell to my beautiful, cheery, rusty orange cashmere cardigan with it's pearly buttons. It was from the Cabbages & Roses AW08 collection; darned a few times by my granny, Mary, but still going strong until a moth or two discovered it for their supper. What will I wear to weddings? What will I wear on a dull overcast day? The answer will of course be C&R AW16, to replenish this gaping hole in my life; perhaps in some of the most frothy, light, beautiful cashmere I have seen in a very long while, imminently arriving I am relieved to say. 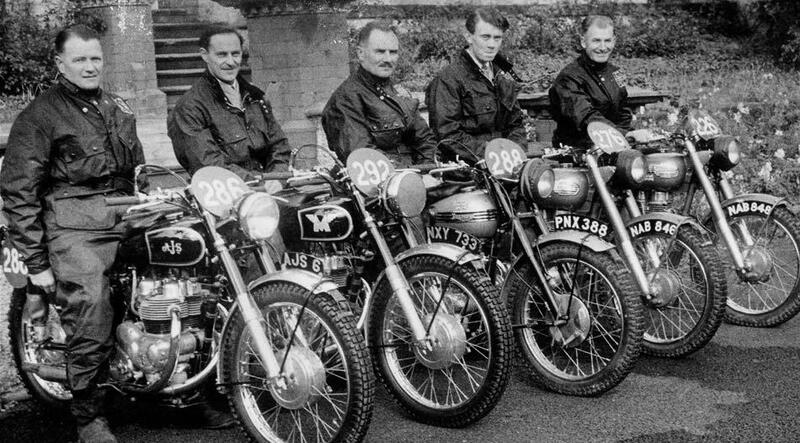 We used to seek out old hacking jackets and patch up the imperfections with accidentally discovered scraps of beauty. Some of these jackets would have been decades old; their softness acquired from years of hard, rural wear and were still going strong, bursting into their new decorated lives for future decades of enjoyment. I still occasionally see our jackets being sold on E-bay for many hundreds of pounds. Perhaps we should put a basket filled with beautiful scraps to pick from in the shop….almost like a dressing up basket for one’s jacket or coat. We are 16 years old after all and I am sure there are a few old timer C&R jackets in need of a good patch. 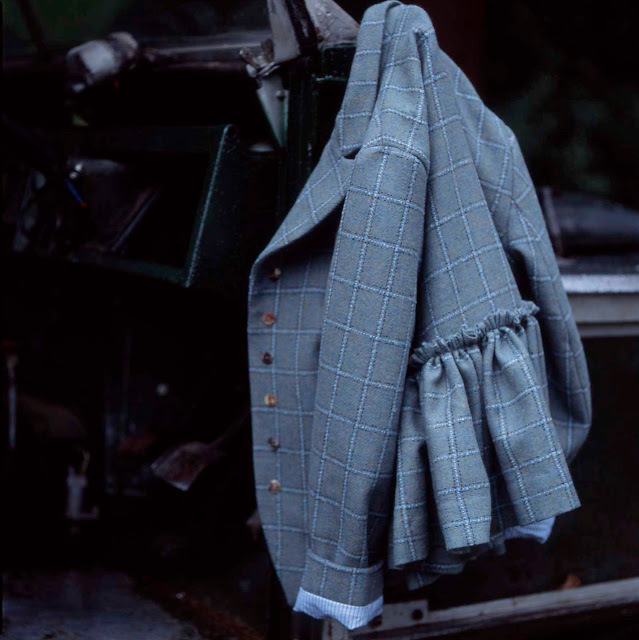 This Autumn we are nodding back to this temperament, with the sturdiness and structure of well-made clothes to inspire us, in interesting shapes, some brave, some classic, all beautiful. And as always we thank our brilliant craftspeople, knowing that they will create things that will last. In short, we want our things to last as much as we want them to be beautiful, unusual, and crafted with care. We look forward to spotting them on E-bay in 2020!